Read all about the OnePass Plus card and the dozens of benefits and ultra-premium protections (free checked luggage, free primary rental car CDW, baggage and trip delay coverage, roadside assistance, price, purchase, and return protection, and much more.) that come with it in this post. 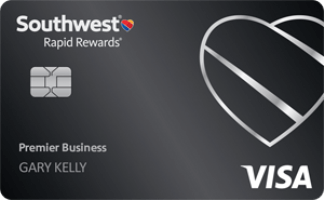 If you recently applied for the Continental OnePass Plus card within the past 60 days to get 30,000 miles and $50 you can get another 25,000 miles!! That card gave 25,000 miles and $50 cash for signing up and making your first purchase and 5,000 more miles for adding a 2nd cardholder. Numerous posters on the DansDeals Forums have reported that they have been able to get an extra 25,000 miles added to their accounts by following this method. Step 1: Go to chase.com and login to your online account. Step 2: After logging in look on the left side of the page and locate the “contact us” link and click it. Step 6: Select the account number of your Continental OnePass Plus card. Step 9: You should get an email when Chase posts a response. Just login to your account again and click on “You have a new message” in the left-hand side of your account center to read the message. Step 10: Post a comment here letting us know what Chase said! The 50,000 mile offer doesn’t come with the 5,000 mile offer for adding an additional cardholder or the $50 bonus, so you’ll actually get a total of 55,000 miles and $50 by applying for the 30,000 mile offer and then using this method to write to Chase! 186 Comments On "Signed Up For The Continental OnePass Plus Card For 30,000 Miles And $50 Cash Back? Here’s How To Get Another 25,000 Miles!!!" If I applied for it like 6 months ago, do you think it will work? Also are you able to apply again and get second bonus? I’ve seen 60 days and 90 days being reported. Within 60 it seems to be a sure thing. Besides for that people will just have to try it out and let us know what they say and when you applied! I applied for the card about 60 days ago, and just sent the email. I will let you know if it worked. hey dan Can I Still Apply For The 30000 Points Card. I Wanna Do This Thing But I Dont Have The 30000 Card So I Wanna Get It First. I once tried doing it with a citi card that I had, and they told me that the new promotion can not apply for the card I already had. Citi and AMEX typically don’t match promotions, but Chase does. dan how can i get underage fees waved when renting a car? Worked for me! Thanks Dan. When did you apply for the 30K offer? Did they promise the full 25K bonus miles on top of those? My wife and I got our cards early November, each with the 30K offer. We were confirmed for the additional 25K just now, within 20 minutes of following your instructions. Congrats guys, can’t beat 55,000 Continental miles and $50 cash with a waived annual fee plus all the great benefits of that card! And we have a report of early November, which would indicate that 90 days is OK as well! adjustment on the next billing statement. Yea!! Dan just got me another free roundtrip flight!! i applied for the 30k card back in early december. i was wondering if i could also apply for this 50k offer. it says that this is only for new customers?? is there a chance that it would work?? If I cancel the card at the end of the year will a lose the points? 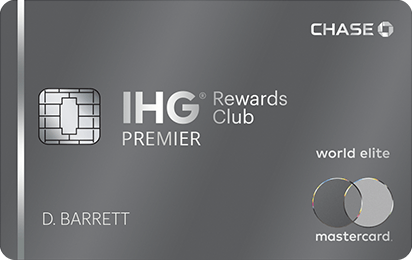 Or is the points program not connected to the card? Here’s my confirmation. Thank you Dan I’m going to take care of my wifes card. Thank you for the opportunity to assist you today. miles will be on the February 2011 billing statement. Enjoy all those free flights guys! I think some people are wording it wrong. You don’t need to mention the 30K offer, just mention that the 25K for opening the card. Is there a chance they won’t honor it once they realize how many people are requesting this? They only added another 20k for me, on top of the 30k, would I be able to get another 5k? I think it should be OK as it’s legitimate to ask to match another offer. Wow, how did you get an additional 30,000? Dan , they just gave me another 20,000 miles ! YOU ROCK BRO !!!!!!!!!!!!!!!!! will gladly add the final 25,000 miles. do you know how i can get my onepass account number, its not on the card or on any stateoment…? that adjustment on the next billing statement. thanks Dan. With all these miles I might need some tips on Hong Kong. see that adjustment on the next billing statement. I hope you all actually got an offer for the 50,000 mile card. But it doesn’t seem like most of you did. Does no one care that what is being done is completely assur? Lying to them to get you something extra? you guys are erally getting pathetic. Just becuase it works and you can get away with it, doesn’t mean it’s ok. I got this card right around 90 days ago (first transaction was on Oct 28). Thanks! 5,000 bonus miles for adding an authorized user. will see that adjustment on the next billing statement. I did not claim I got any email or offer and they credited me, obviously they have decided to match it.I’m just waiting to hear from dan if I can get another 5k on top on the 20k i already got! @Wake up people: Why is it lying you didn’t say that you got the offer from them the offer is generic and anyone can get it by clicking on the link. as you can see from the response by chase they are confirming that you are receiving the bonus miles because you are eligible to have applied for the 50k offer!!! Thanks for clarifying. I missed that, I didn’t realize the offer was there for anyone to use. I guess I’m just overly sensitive from other things on the site that I’ve seen that were questionable. Or perhaps other things on the site that you “missed”? I just got approved for the credit card. am i still eligible fr this? whn can i email them, after i activate the card? after i get the first 25k/30k? listen: opening a new onepass account to churn a credit card may be questionable. unless I missed something too. If the bank wants to give you 25000 points free that is a different story. They replied to me and they wrote that they will deposit 25K points. And the best part is that all i asked to be compensated was 20k!! Plus lets not forget about the $50 statement credit i received! Why would they give another 30k to someone who already got 50k??? You can apply for the 30K+$50 and then get bumped up to either 50K or 55K with the $50 based on comments here. But they wouldn’t give anything else if you apply for the 50K. I got 30K for signing up over 100 days ago, and now I got another 25k! questions, reply using the Secure Message Center. thnks dan i dont have a chase online profile and to enroll they r requesting my account # or debit card # is there any other way to enroll? Maybe there is no time limit. 55K plus $50 for applying over 100 days ago is awesome! Chase has traditionally matched offers. I see no reason why they would stop now. So it seems that if you got the 25,000 on your first purchase plus the extra 5,000 for adding another user you can still get the additional 25,000 by just asking for it. Leaves me with a total of 55,000 miles for this offer. Make sure to ask specifically for another 25,000, otherwise they will only give you another 20,000 to bring your total to 50,000. Worked for my wife too and she signed up for this credit card almost a year ago. She got another 25K. Question now being, can this offer be churned? If I cancel my current Continental OnePass Plus card, can I then sign up again for a new CC using this new 50K mile offer? Do you know how long it will take for the free miles to post to my account? has anyone that had the card once before and got it again recently been successful in getting them to adjust the bonus to 50k? they sent me a letter stating since i had the card in 2009, the card i got a few months ago isn’t eligible for a bonus, only first time card members (even though they already posted the 30k from this acount for the bonus). account today to match the 50,000 miles offer received. The miles will be on the February 2011 billing statement. and received 25,000 miles for making my first purchase. So if I cancel my current card after they deposit the miles, I can get a new card using the 50K mile offer as long as I open a new Continental OnePass account? Does anyone know if Continental merges OnePass accounts? I got the email response.. thanks dan! Thank you for the idea. I received an email offer for the 50k miles 2 days ago, and I was upset that I wouldn’t be eligible. It did not occur to me to ask for them to match it. I sent the email, and they said they would credit me the 25k miles!! FYI to everyone. I first tried calling the number on the back of the credit card, and the representative said that they would not give me the extra points. I sent an email, and they said they will credit my account. I also sent them a very gracious email reply thanking them for their outstanding customer service. Lets show them that we appreciate great customer service. So it looks like I will only get 50k even with an authorized user. Still nice though! Didn’t get it. I opened mine September I think. thanks dan i got the full 50k miles! same repy from chase as the rest of the dans deals chassidim! Or you can sign up for 30k+$50 and then email for another 25k. Wow, looks like you’re the only person who didn’t get it! 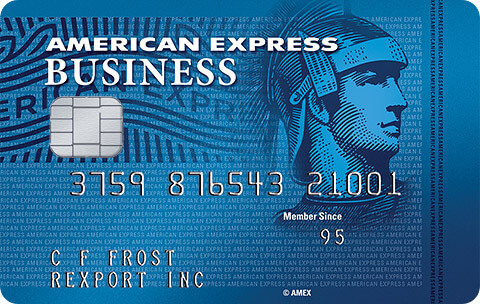 Which AMEX 50k promo is dead? 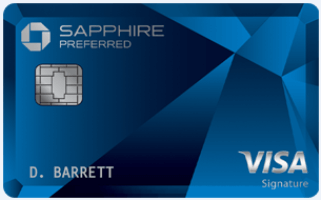 I Got my Sapphire card in June…and just got confirmation that they are giving me the additional 25K. Huh? They gave you extra points for a Sapphire card? Sorry about that…my mistake. Got my Continental card in Sept. and they gave me the extra 25K. Any one had better luck under similar circumstances? you applied for and received in 2010. OnePass member is only entitled to one enrollment. received the maximum number of enrollment miles allowed. Ok, so the maximum is 55,000 enrollment miles PER YEAR? or per LIFETIME? its over six hours and i still have not received a response. getting anxious! this is what i gon now. chabads corporate waives the underage fee in most locations as long as you are over 21.. code is 41M0174 and name of organization is CHABAD so three letters are CHA good luck! I was approved and received the card a few days ago, however I received a letter for my wife that they have declined her because of a duplicate application. I happened to have submitted both applications minutes apart. Any clue as to what might have happened here? do you suggest I submit a new application for the 50K? @sara: But using this corp acct doesnt make any sense, it waives the fees but your paying 35 dollars a day instead of the normal price of 11 a day.SO basically you end paying the fee using this corp. Does anyone know of any other corps besides chabad, bmg ? 5 months later got 25K for me and 25K for the wife. Thanks Dan! Thanks Dan, I received an email that I will receive the extra 25k miles. What do you think of the Presidential plus card? I got it 2 months ago, and I will be Continental platinum in a few weeks. Just waiting for the bill to cut, and the miles to post. 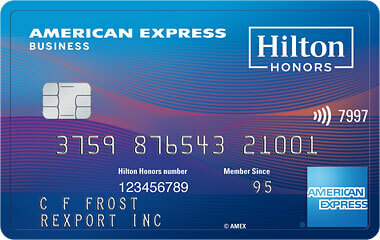 The AMEX Platinum 50K offer still seems to work fine for me. Remember to clear your browser’s cache and cookies or to use a different browser if you don’t see the offer. Dan I didnt do either app yet which should i go for? 50k or 30+$50 with a chance of not getting the add. 20? Half the folks in this thread got 30K+25K+$50 from the 30K app and then emailing. So you will get $50 and you can also get another 5K miles through the 30K app and then emailing once approved. It worekd for me! thank you. The amex platinum will let you go through the process but once you hit submit it says no longer available…I called amex and they said it is dead…think I should keep fighting for it? @Dan: Can i email them “once approved”? or should i be waiting to receive the card first…? You can email them as soon as you see the card in your chase.com profile. It has always had issues with some browsers. It’s “dead” over the phone because it’s an online deal only. Which browser did you use? I would suggest trying again with a different one. I emailed Chase last night. I received a message confirming receipt of my email and promising a reply within 4 hours, but as of this morning, still no response. I emailed again this morning, but still haven’t gotten a reply. Any suggestions? @Leiby – Same for me. My guess is that their e mail center has been bombarded with similar requests and it’s delaying their response. Can I sign up an llc (with an EIN) for this signup bonus also? Unfortunately I applied for this 6 months ago and they told me its too long since I applied to get the new offer. Dan is this card churn-able? Can I reapply and get the new bonus? That’s 30K miles+ 5K miles + $50! is there a similar United Air situation? 30k + 25k? thanks for helping me and my wife build miles/points toward an E.Y. vacation! Thank you Dan. My husband got his card in December and we got the 30K miles in Jan. And now he has been approved for another 25K miles. Interesting story- my wife and i each got the cards back in the summer of 2010. Sent separate emails to Chase. My wife got the standard yes we will give you the 25k miles. However I was denied! So i called the call center and after a long conversation the cust. service rep said he would ask marketing to give me the additional 25k. So we will see what happens. Just wanted to add our experience- one success one fail and then with the additional call hopefully the fail as turned into a success! Hey dan do u know the link for the aa offer giving 75000 points? reflected on your next statement. does anyone know what 50,000 points gets you in continental flights? Received email reply that I will receive another 25,000 miles. This with my sign-up bonus and bank account gives me a grand total of over 80,000 miles bH!! What do you mean “bank account”? Are you supposed to get more miles if you bank with Chase? I just got credited 25000 miles for an account I opened 8 months ago. A second card which I opened 2 months ago of which I was told i would not receive the bonus for signing up because I was already an existing customer was just credited with another 25000 miles even though I didn’t receive the initial sign up bonus. My wife’s account which was opened 6 months ago was also successfully credited with 25000 miles too. Dan one of your best postings to date! Got Chase Continental card in 9/2010 with 30K miles posting in 11/2010. Sent modified version of suggested statement on Friday & today woke up to pleasantly see I’ll get 20K added on next billing statement! Yippee! hey dan, ive been trying to compose a message, but when i click on compose, i dont see the credit card tab, please help!! reflected on your next billing statement. After being turned down over the phone, this method worked! I though a approval for an account that opened 105 days ago, does anyone remember that post? They denied me saying I was not within 90 days, I sent back that someone else got the bonus at 105 days. I am waiting for a reply. the continental checking account through chase that gave me 25,000 miles as Dan posted many times. Too late now…. I sent the email requesting the extra 25K on Friday and got a response confirming receipt of the extra miles today. Good find! Thanks!!! Sent the email request Friday and got the response today as well! Received email today, but declined because it was 6 months ago and not within last 3 months. Love you Dan! Just got confirmation message that they will add the 25K to my account!! why do i seem like the only one having a problem even composing the message< can someone please help me!!!!!! Unfortunately i wasnt so lucky. an additional 25,000 bonus miles . original open date is more than fair. the adjustment will reflect on the next billing statement. Seems like most people are getting 25,000 miles, use them in good health guys! If you applied over 90 days ago, some people are getting the 25,000 miles and some aren’t. Seems to be a YMMV situation if you applied for the card more than 90 days ago. does this work for the 25,000 mile debit card as well? Dan they only gave me 20K more (making my total 50K, 25K plus 5K for additional user, plus 20K to match the 50K) any way to get the additional 5K. i got the extra 20000 also!!!!!!!!!!!! I opened my card 4 months ago and got the additional 25,000 miles. I sent an email as instructed yesterday and still did not get a response- how long has it taken for most people to get a reply? I sent an email early this morning and have not gotten a response, is this deal dead? Email about the $50 first. Did you spend $50 on the card yet? Dan, Thanks for the great tip! Just received my additional 25K miles. I emailed them again figuring its free to ask and here was my response. regards to your enrollment bonus offer. additional 5 thousand I would greatly appreciate it. Thanks Dan! Another success story! Here’s the email I just got today. gladly add the remaining 25,000 enrollment miles. Did anyone have the 25 k post in their account? will see them on the next billing statement. enrollment bonus on a previously held Continental account. My wIfe’s 25k miles just posted in her account. Her billing cycle just ended. I am waiting for mine to post. I asked for the $50 credit which was not part of my original offer, and it was rejected because i applied for a business account, and they claim the offer was only for personal accounts, does anyone have a link where it was offerd also for business accounts? This was there response, it looks like if you applied for a personal account and did not get the $50 credit, oyu could request it. 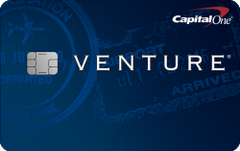 Continental MasterCard Business credit card account. is for the Continental OnePass Plus personal credit card. @Dan: thanks dan i just saw ur answer. r u reccomending that 1st i shud contact them abt the $50 and only after they respond shud i ask 4 the additional miles? wud i be eligible 4 the extra miles without having gotten the $50? also i did not yet spend $50 on the card. thank you. I just got an email from them (after requesting the aditinal 25,000)and they DONT want to give it to me. qualified to receive the following enrollment bonuses. fee waiver as their original application bonus. Looks like they’re catching on. People on the forum have had success calling them up to get the other 25,000 miles added to their account though. Try that and let us know! contact to match the offer as advised above. If i call them up they won’t see on my account my recent email inquiry and deny my request? i have spent at least $100 on my card so far, but have not received my first statement so i have no idea what will actually come up. I know that online they have not merged my old account and miles with the new one yet, or credited $50, so i will let you all know how that goes (or doesn’t)! thanks again for sharing this with us Dan!!! btw they promised to email me back within 4 hours- this is the next day! better later than never i guess. got the same as @bochur in bmg. I guess they followed up on the dan’s deals barrage of customers! myabe, dan, update your heading! eligible to receive the following enrollment bonuses. time the necessary adjustments will be made. hi I ordered the card and they told me I only get $50 when buying a ticket , is that true? Dan, what’s more worth it?? I already spent the $50! OnePass Plus credit card account listed above.